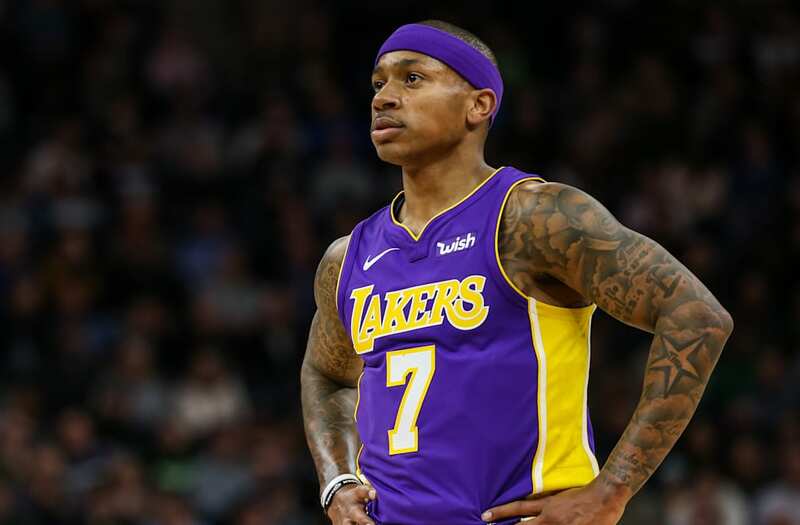 Isaiah Thomas’ calamitous contract year has reached another impasse after the Los Angeles Lakers’ backup point guard flew to New York to evaluate options for his surgically-repaired hip. One of those options may include going under the knife, that is if he hasn’t suffered more cartilage damage, which would make him ineligible for labral surgery. Thomas opted against surgery last summer to repair his torn labrum and missed the first three months of the regular season while rehabilitating before returning in mid-January. However, the diminutive former All-Star hasn’t resembled anything close to the ball of dynamite who was the fifth-leading vote-getter in MVP voting last season. Instead, his mouth has written checks his body can’t cash. Fans and alienated teammates soured on Thomas’ criticisms and poor play. At the trade deadline, he was jettisoned to the Lakers. However, with free agency looming, news of his hip acting up again, just as he appeared to be hitting his stride again is the worst possible scenario for Thomas, who was still harboring aspirations of attaining a long-term contract and a claiming starting role next season as recently as two weeks ago.